Centralite's Appliance Module has all the features you would expect in an advanced plug-in module. Equipped with high quality electronics, these devices are built tough to last. Both the Lamp Module and Appliance Module come equipped with a power amplifier, current sensing technology (for energy management), and a pass-through electrical outlet. Works with Echo Plus, XFINITY Home, Spectrum, Time Warner Intelligent Home, Cox Home Life, Bright House Cable. Works with LED, CFL, halogen, and incandescent light bulbs and lamps. 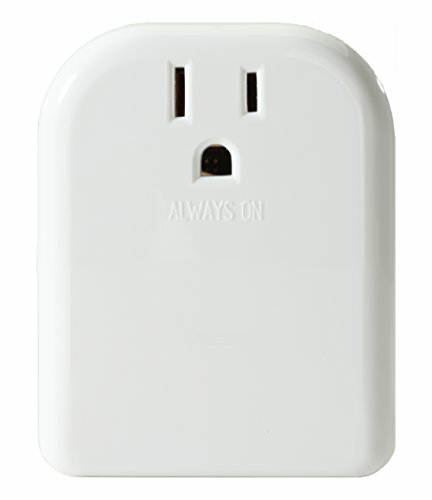 Features two outlets, one switchable and one always on. If you have any questions about this product by Centralite, contact us by completing and submitting the form below. If you are looking for a specif part number, please include it with your message.